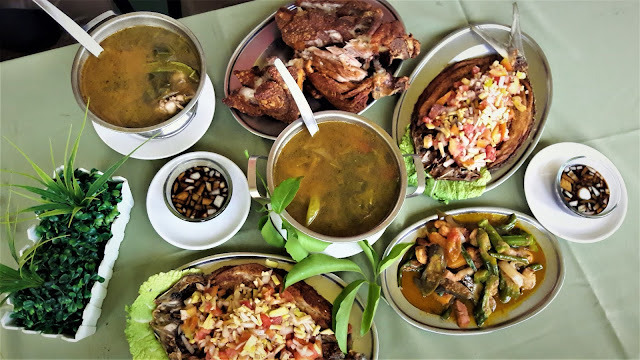 Classic Filipino favorite dishes served in a local traditional style? What type of food reminds you of your culinary origin? 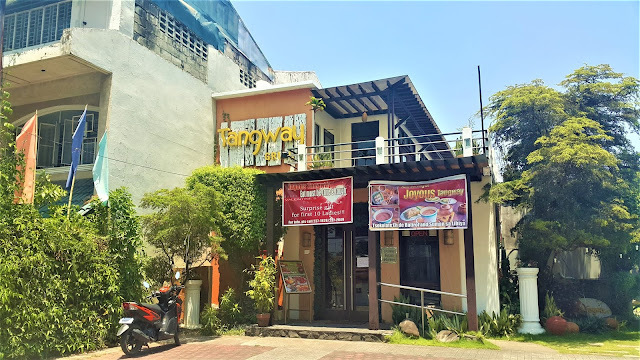 Well in Bataan's Joyous Tangway Grill and Restaurant, you are up for the all-time Filipino classics and you'll gonna be amazed by the twist! 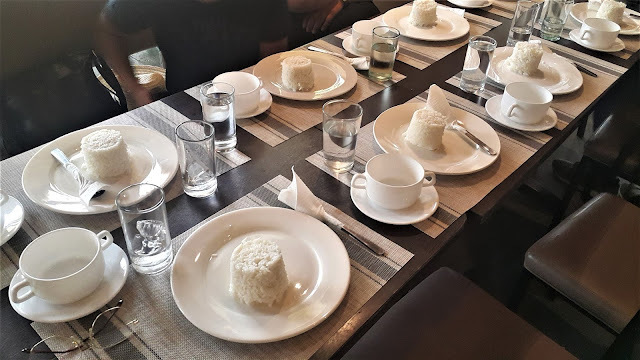 A little bit on the fancy side, Tangway (previously known as Joyous) is a restaurant with a little 'looks like my grandma's old house' feel that can accommodate groups and small functions for dining. 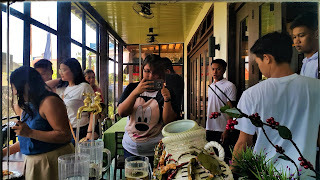 You might find it a little dark inside the restaurant but I think it made the place feel more calm and intimate or maybe it was because it's very bright outside that you'll need to adjust a little when you enter. It's fine dining so you're table will be set ahead before serving all the food. Since the restaurant is a 'grill,' I initially thought it's gonna be a boodle fight style but I was wrong. Even though I like the idea that it's a formal sit down restaurant but not as expensive as the usual restos around. 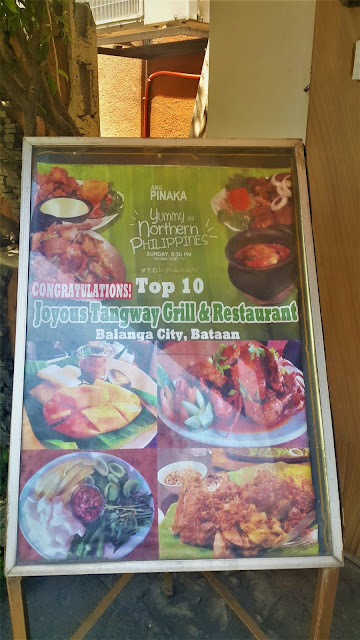 Before ticking off my list, one of GMA TV's popular listing show in the Philippines' Ang Pinaka, listed Joyous Tangway Grill and Restaurant as one of the Top 10 "Yummy sa Northern Philippines" restaurant and I am lucky to try some of their best sellers. For me, the best pairing is the crispy pata and the pinakbet. I love pinakbet because I grew up with my mom and my grandmother cooking Ilocano style pinakbet with plenty of squash. 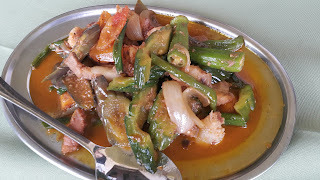 If you are not familiar with pakbet, it is the northern style 'chopsuey' (mixed vegetables) having okra, ampalaya, kalabasa, talong and usually cooked with tomatoes and bagoong. 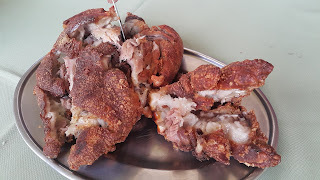 As for their crispy pata, since we all know that oldies cannot really eat that much of it due to extreme fat contents, it is really the best pair to pinakbet. 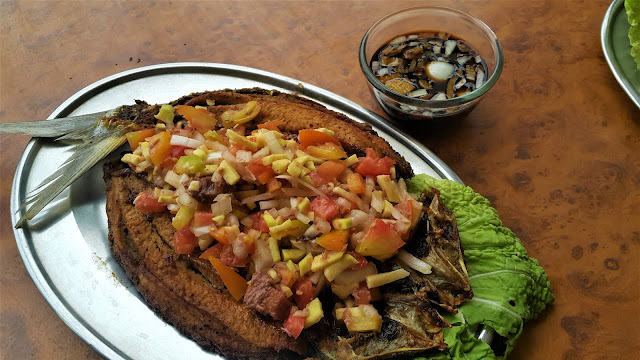 If you are up for something a little healthier, you'll gonna love this daing na bangus topped with tomato, onion, mango and bagoong salsa. As I am a fan of salsa, I almost finished everything on top of this bangus but I just tried the fish because I don't really enjoy daing as much as other people do. Despite that, the taste of this daing is as good as the one you can eat in your province. What's Filipino food without Sinigang? 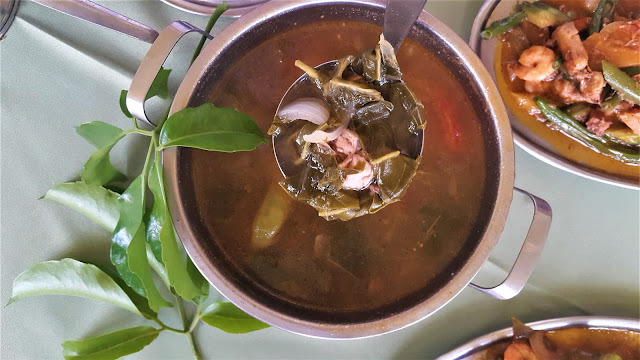 To give you a twist, Joyous Tangway Grill serves Sinigang na manok sa ayo (ayo is a type of leaf that's actually available on the backyard of this restaurant). To my surprise, I like it more than the usual sampaloc or gabi taste because the sour flavor is there but it's not the usual overpowering taste that the usual Sinigang have. 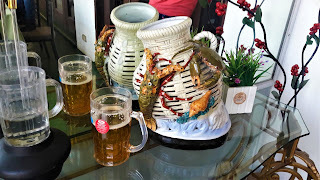 It has that kick but still leaves some room for other flavors to pop once you have a sip of the soup. And here's proof that they are one of the best restaurants you can try in the North! 2. If you plan to eat a little heavy, make sure that you balance it with veggies because their serving size is quite huge for a single meal. Yep, everything here is good for sharing!